In the 1850s this building was a general merchandise store operated by Joseph Boston & Co. In later years it was called Casa del Oro because of the unverified story that it had been a gold depository. 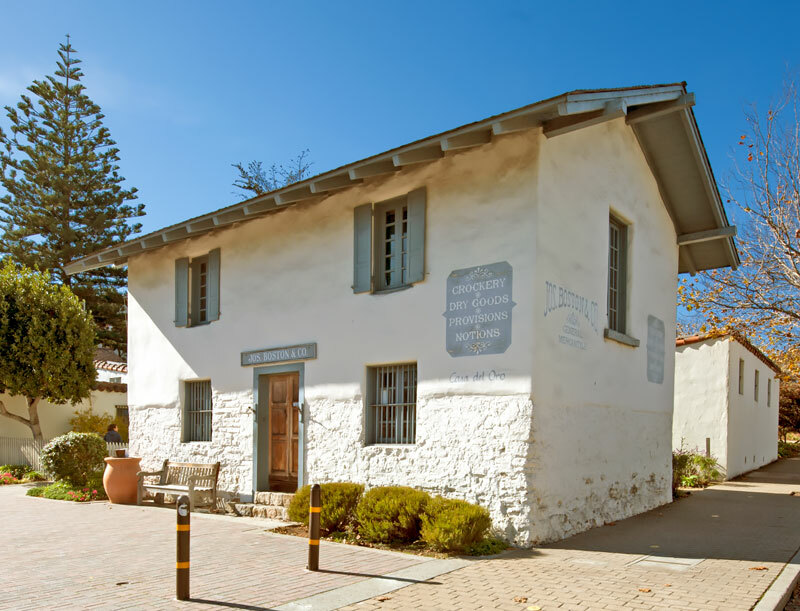 This two-story limestone rock and adobe building was built by Thomas O. Larkin around 1845. Several years later, Joseph Boston leased the structure to operate one of the first general merchandise stores in the area. When we visited the site in November 2012, it was operated by the Historic Garden League of Monterey as The Boston Store and the Picket Fence Garden Shop. Casa del Oro contributes to the Old Town Historic District which is a National Landmark. We were unable to locate a California historical marker for Casa del Oro.